In the small Goan village of Kumbharjuva, where he was born in 1991, Diptej Vernekar grew up amid carnivals and floats that fascinated him. The son of a carpenter, he was most attracted by the mechanical movements that would be incorporated within the float decorations. What fascinates Vernekar today—after having completed his bachelor’s degree from the Goa College of Art and his master’s degree in fine art from the Sarojini Naidu School of Arts and Communication, under University of Hyderabad—is “how human conditions are reflected in architectural history”, he says. 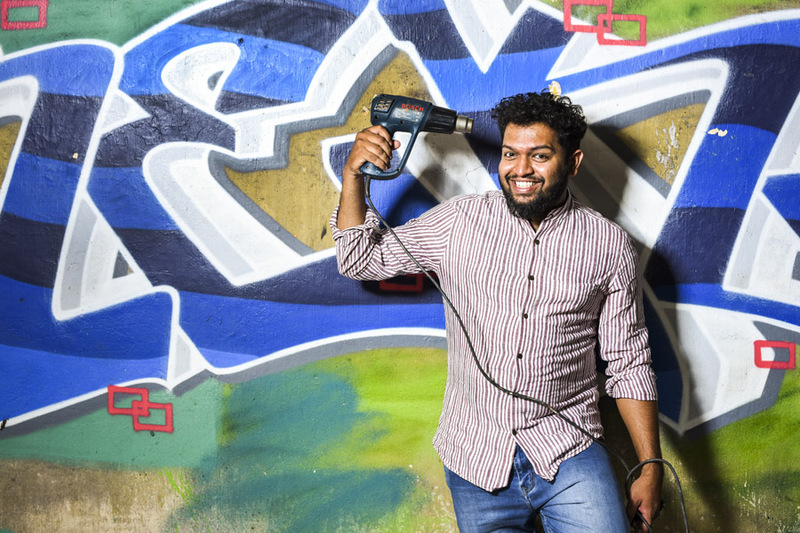 Starting out with portraiture during his undergraduate studies, Vernekar has moved beyond the drawings, to the many layers that lie beneath it, and uses multiple media such as paintings, videos and installations. The sound and video projections that are included in his works continue to employ the kinetic mechanisms that he would employ as a teenager to decorate the village floats. Vernekar has been part of several art exhibitions around the country, including the Serendipity Arts Festival in 2017, and has picked up awards and recognition along the way. “Moving between performance, installation, moving image, and painting, there is an infectious restlessness to [Vernekar’s] work. It is this restlessness that forces a viewer to attend to the urgent issues conveyed in Diptej’s art, especially the ecological concerns that underlie much of his output,” says Mortimer Chatterjee, co-founder of the Chatterjee & Lal art gallery in Mumbai, and a jury member of the Inlaks Foundation, which bestowed Vernekar with the Inlaks Fine Art Award of 2017.